Superb instrumentalist, acclaimed teacher of instrumental skills, gifted performer, award-winning folklorist, Ken Perlman is surely a welcome addition to any festival or concert-series lineup. particular for his skillful adaptations of Celtic, Appalachian, & Canadian fiddle tunes to the style. Ken is both a pioneer of the 5-string banjo style known as “melodic clawhammer” and a master of fingerstyle guitar. He is considered one of the top clawhammer players in the world, known in particular for his skillful adaptations of Celtic tunes to the style. On guitar, Ken’s sparkling finger-picked renditions of traditional Celtic and Southern fiddle tunes are simply not to be missed. He has toured throughout most of the English-speaking world and in Western-Europe, both as a soloist and – for over fifteen years – in a duo with renowned Appalachian-style fiddler Alan Jabbour. He draws his material from traditional sources – the music of Scotland, Ireland, Cape Breton, Prince Edward Island and the American South. His approach to the music, however, is highly innovative. He has developed many new instrumental techniques, and much of his repertoire has never before been played on 5-string banjo or guitar. Around the folk scene, Ken is often referred to as a musician’s musician – a player whose style is so accomplished and unique that other musicians go out of their way just to hear him. Ken is an acclaimed teacher of folk-music instrumental skills. He has written some of the most widely respected banjo and guitar instruction books of modern times, and he has been on staff at prestigious teaching festivals around the world. He has also served as director, or co-director for several banjo and music-instructional camps, including American Banjo Camp, Banjo Camp North, Bath Banjo Festival, Maryland Banjo Academy, Midwest Banjo Camp, Northeast Heritage Music Camp, and Suwannee Banjo Camp. Also an active folklorist, Ken has spent over two decades collecting tunes and oral histories from traditional fiddle players on Prince Edward Island in eastern Canada. The first outgrowths of his research were a tune book called The Fiddle Music of Prince Edward Island and a two-CD anthology of field recordings called The Prince Edward Island Style of Fiddling (Rounder Recordings). In 1997 and ’98, each of these works received awards from the Prince Edward Island Heritage Foundation for helping to “preserve, interpret, and disseminate our province’s fiddling heritage.” In 2015, his “ethnography” (oral history based book) called Couldn’t Have a Wedding Without the Fiddler: the Story of Traditional Fiddling on Prince Edward Island was published by University of Tennessee Press. He is also curator of a new website devoted to PEI fiddling called bowingdownhome.ca, which is based on his writing and field recordings and hosted jointly by the University of PEI and the Canadian Museum of History. Just Out: Frails & Frolics. Latest solo project. Ken has been performing on the acoustic music circuit since the late 1970s. He has played countless folk clubs and coffee houses, dozens of festivals, and scores of other venues such as schools and colleges, pubs, libraries, historical societies, and cafe’s. He has toured across North America, Great Britain, Ireland, Western Europe and Australia. Ken’s performances focus on his instrumental wizardry. Most of his material consists of traditional Celtic and Southern U.S. dance tunes (often known as fiddle tunes), which he has arranged for his own instruments: 5-string banjo and guitar. Of special interest: the tunes he has collected himself from traditional fiddle players on Prince Edward Island. Ken’s significant contribution to acoustic guitar styles should not be overlooked. He is adept at old-time blues, ragtime and just plain folk. His specialty is Celtic and Southern U.S. fiddle tunes arranged for fingerpicking. These tunes are played with a sparkling attack and active bass line, which gives them a sound that has been described as being reminiscent of Renaissance- and Baroque-era lute music. 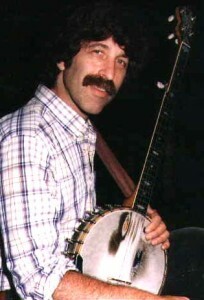 The high quality of his books, articles, taped series and other instructional materials has brought Ken an international reputation as a gifted teacher of folk instrumental styles. This reputation has been reinforced by his many instructional columns and articles that have appeared over the years in such major acoustic-music periodicals as Banjo Newsletter, Sing Out!, Acoustic Guitar and Acoustic Musician. New England & Celtic Tunes for Clawhammer Banjo (Mel Bay). Fingerpicking Fiddle Tunes (The Mel Bay edition was called Traditional Dance Tunes for Acoustic Guitar). Ken has made a number of banjo instructional videos, all of which are now available from Centerstream Music/Hal Leonard. He has also made a guitar-instruction video for Centerstream and a series of banjo-instruction audio cassettes for Homespun Tapes.